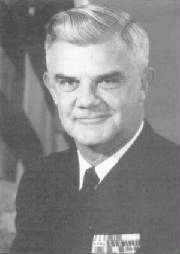 Captain Fletcher Hale was relived of command on 25 November 1959 at the port of Naha, Okinawa by Captain William M. Lowry. Assumed command of NTC San Diego in September, 1964 and retired on July 1, 1967. I came on board in 58 and moved to OC division as an RM3 in 59. I was also one of the softball pitchers for the team when we won the game in Hong Kong. I was stationed in Hawaii from 63 to 66 as an RM2 and RM1 in the Coast Guard. In July of 2000 I retired from the Coast Guard Reserves as a LCDR. I was enlisted for 22 years and was a Master Chief Radioman until 84 when I accepted a direct commission and became an officer. As an officer I was a Training Development Specialist and Tech writer. In 99 I was assigned to Coast Guard Station Elizabeth City North Carolina and I collected the data needed to develop their Y2K operations plan. The plan worked and that was my last major assignment. My name is Jim Kernodle,I was a Third Class IC Electrician in E Div. the Internet for all to see. any of the crew members? Again, thanks for putting this out so we could see and remember our shipmates. 15 - 22 December Hong Kong, B.C.C. 24 Dec 59 - 03 Jan 60 Subic Bay, P.I. 21 February Manila Bay P.I. 22 Feb - 03 Mar Subic Bay, P.I. 20 - 29 March Operation "Blue Star"
back to San Diego with you.